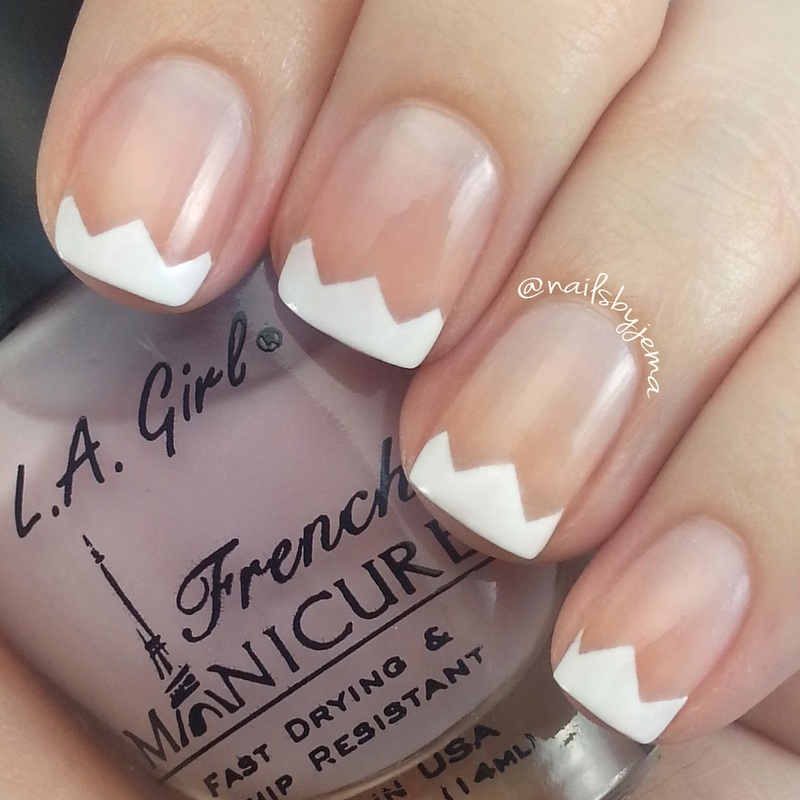 N A I L S B Y J E M A: French Tip Nails.. With A Zig and a Zag! Sometimes plain is just right for nail art. And sometimes plain is too boring. So why not make plain a little funkier and rock some chevron patterned french tips? Now I know this style won't be for everyone, but I loved having plain and simple nails for the day. They're usually so crazy with nail art it's nice to cleanse the palette. Any colour would work and you could definitely add art on top to 'crazy' it up a little. Blue chevron vinyls are from @teismom and polishes used were OPI 'Alpine Snow' & L.A. Girl French Manicure 'Sheer Lilac'.